Lucy's careless accounting habits force Ricky to cut off her allowance and charge accounts. When Ethel arrives with tickets for a radio quiz show that awards one-thousand dollar cash prizes, Lucy jumps at the chance to attend. After her qualifying round on "Females are Fabulous," based on the theory that any woman is willing to make an idiot out of herself in order to win a prize, host Freddie Fillmore tells Lucy of her money-winning stunt. She will have to introduce Ricky to her "long-lost first husband." That night Lucy is a bundle of nerves as she awaits the arrival of the bogus spouse. 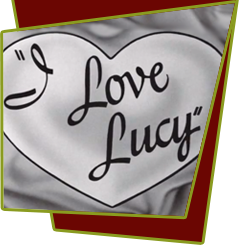 Meanwhile, a tramp appears at the door and Lucy assumes he is the "long-lost husband." When she discovers her mistake and throws him out, a second "first" husband arrives on the scene, whom Lucy introduces to Ricky as per the radio show requirement. Alas, she wins the thousand-dollar jackpot, but after paying all her overdue bills, she is left with only fifty cents. Special Notes: The "real first husband" was played by Vivian Vance's husband at the time, Phil Ober. The bum in this episode was portrayed by actress Tallulah Bankhead's real life husband, John Emery. Bloopers: Notice that when Harold the Bum leaves the Ricardo apartment he still has some of their possessions in his pockets due to the bulges that aren't there when he walked in.